This collage was so much fun to make! 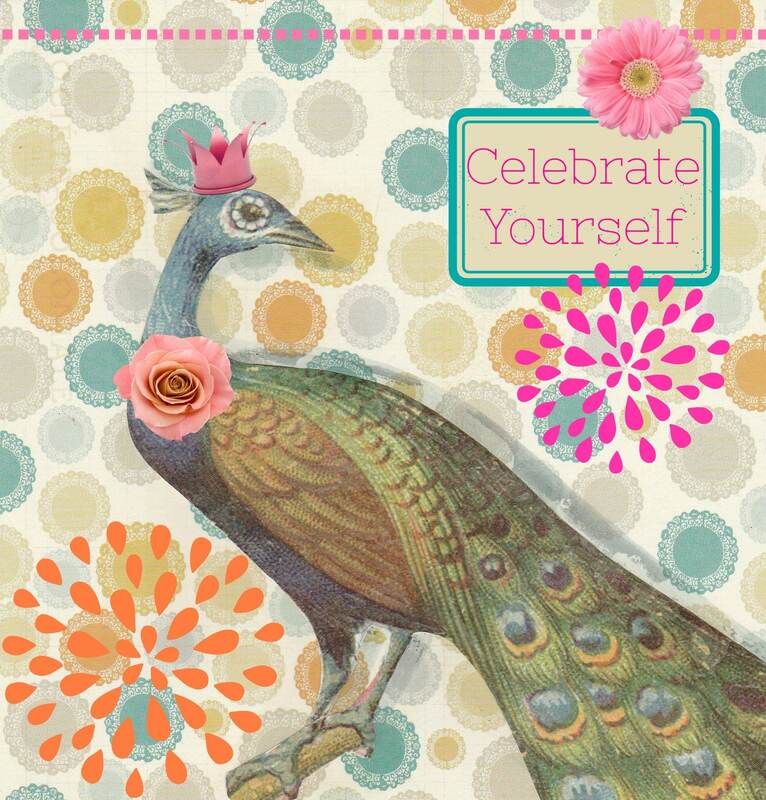 This proud peacock reminds the recipient to celebrate themselves as we all should do. This can be for any occasion, including birthdays. The crown and some of the feathers will have glitter! Each card measures 4.5" x 5" and comes with a matching envelope in a cello sleeve.